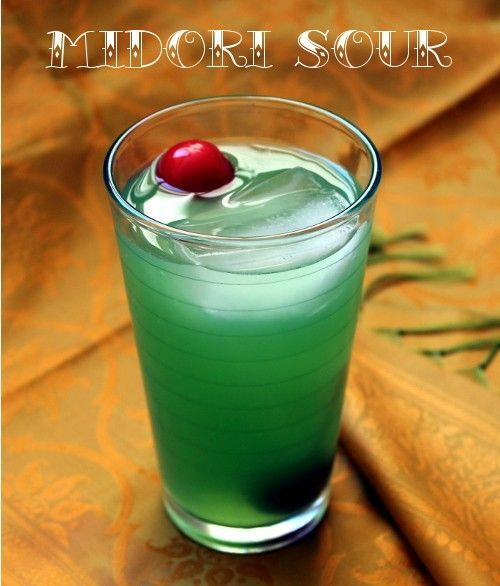 The Midori Sour is based loosely on the classic Whiskey Sour. It features Midori blended with whiskey, lemon juice and Sprite. The melon flavor hits your taste buds first, with lemon following closely behind. Remember not to waste good single malt whiskey on a cocktail – Jack Daniels or Maker’s Mark do just fine for this one. This is a great drink for a night out – just the right blend of sweet and sour, with just a moderately strong kick.